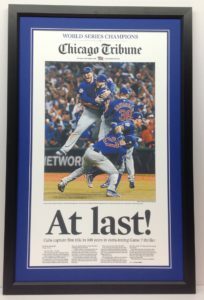 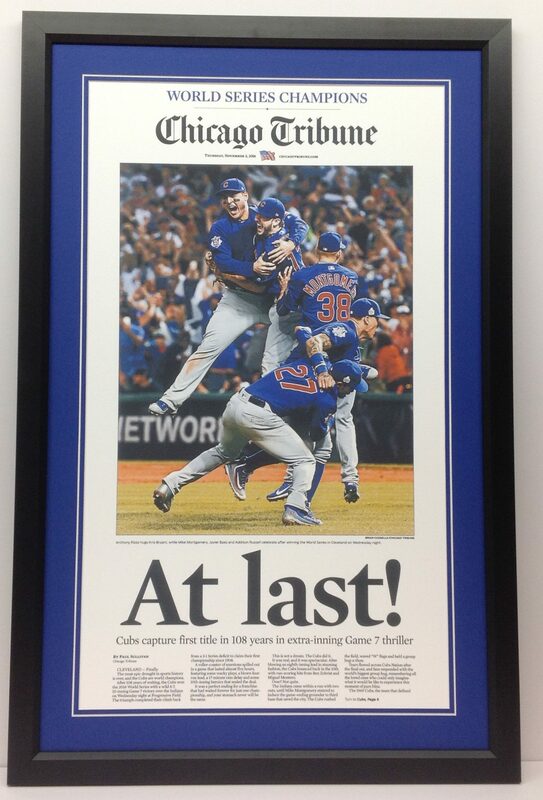 Copy of Chicago Tribune front page featuring the Chicago Cubs winning the World Series. 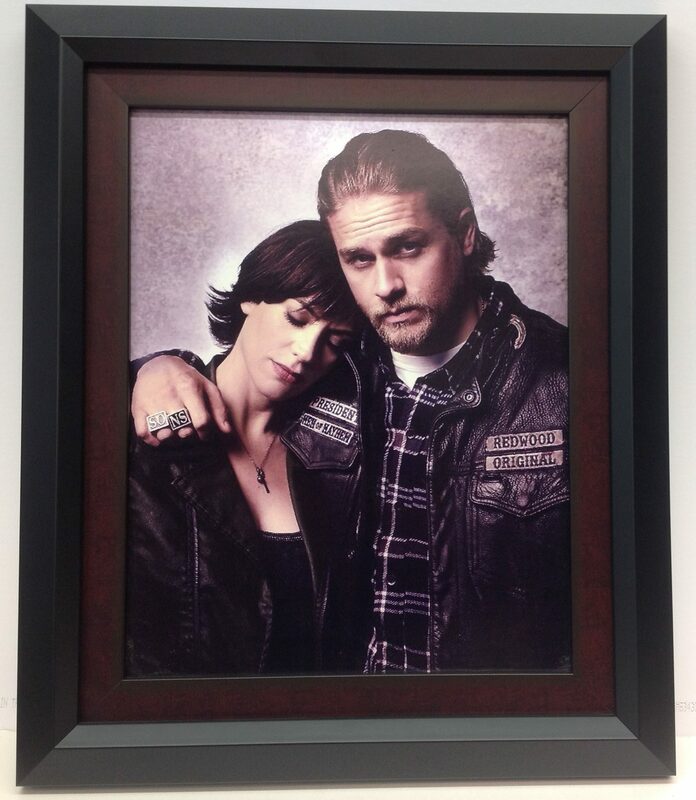 Framed Sons of Anarchy photo. 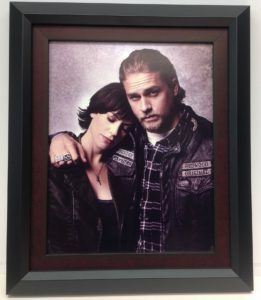 Size: 18 1/2 x 15 1/2. 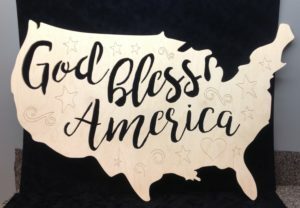 God Bless America sign cut out of 1/4" plywood.Size is 41 1/2 x 25 1/2. 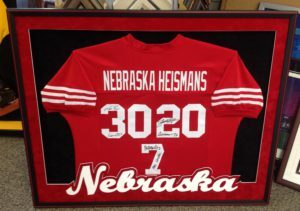 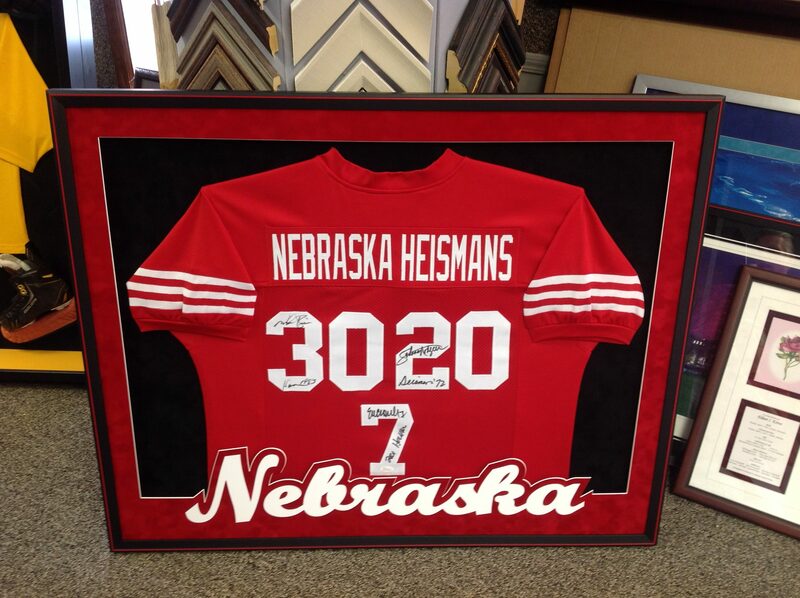 Husker jersey signed by Nebraska's 3 Heisman trophy winners. 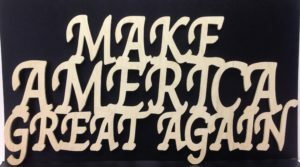 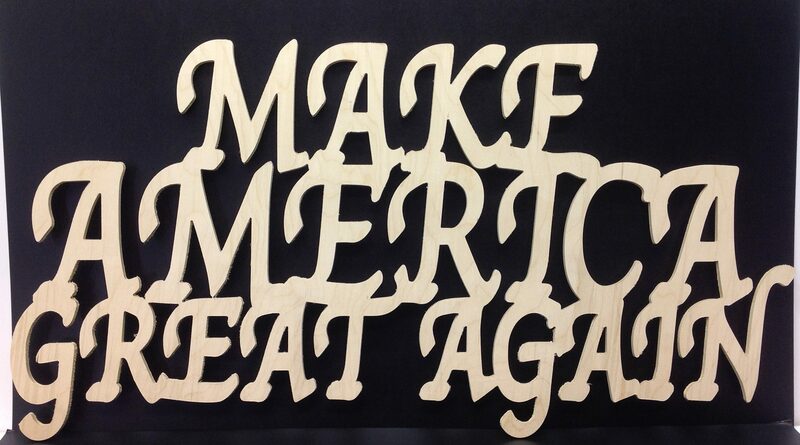 Make America Great Again sign made out of 1/4" plywood. 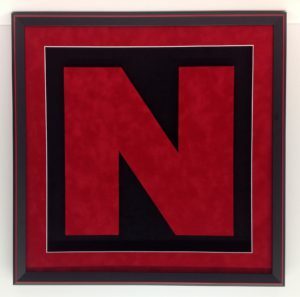 Size: 39 1/2 x 20. 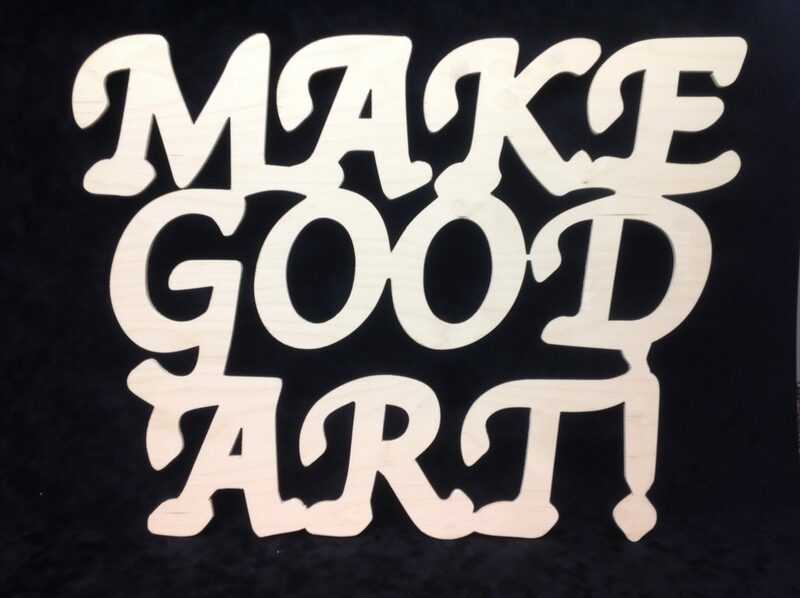 Make Good Art sign cut out of 1/4" plywood. 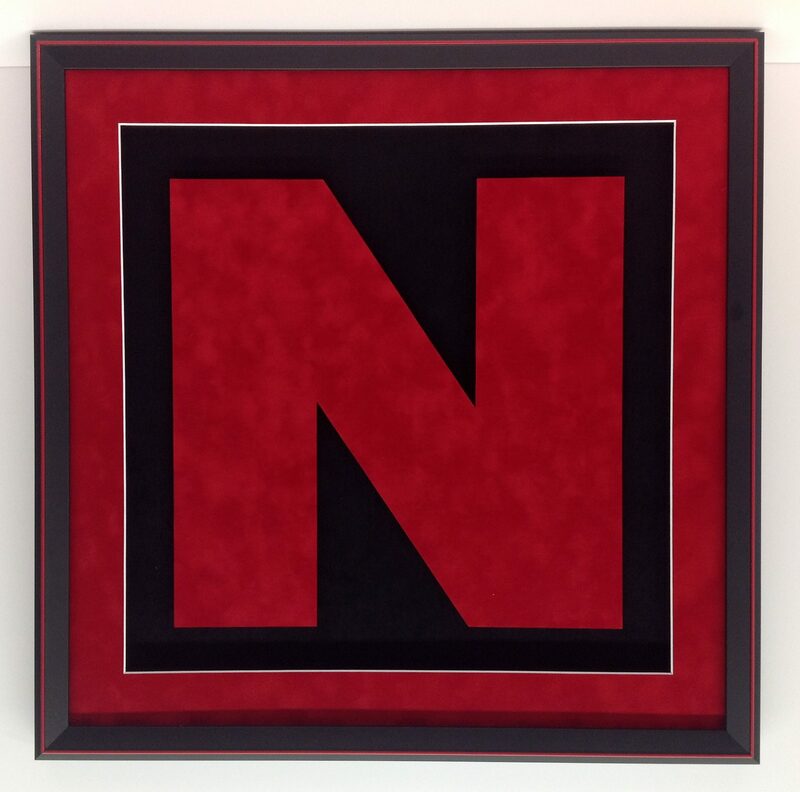 Size: 30 1/2 x 23. 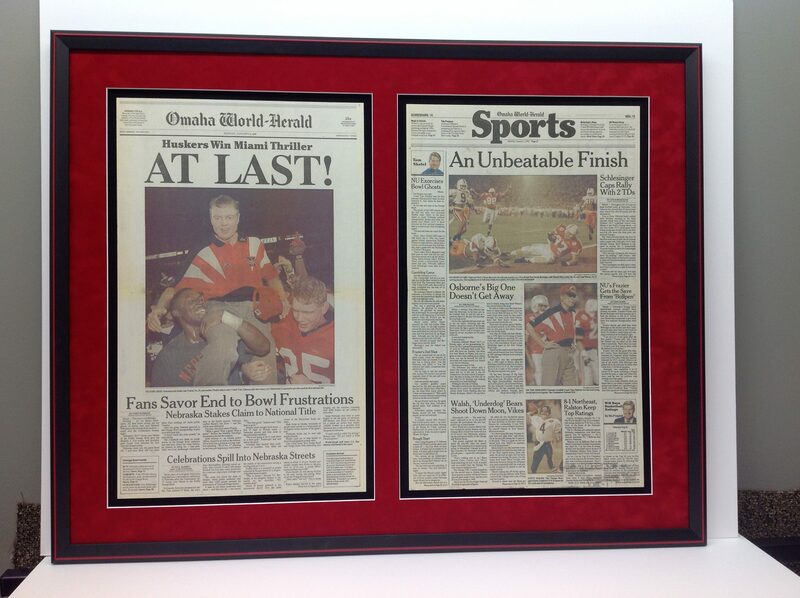 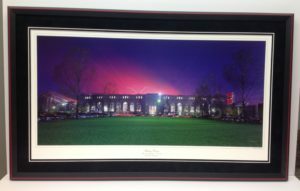 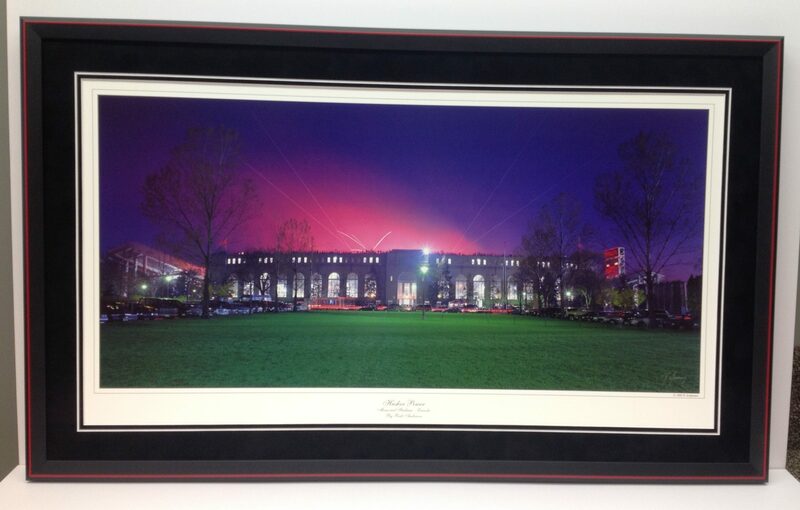 Omaha World Herald newspapers framed from Nebraska's national championship in 1994.